Working closely with Dr. Niveen Kassem, who is a Research Assistant of the School of History, Classics and Archaeology at Newcastle University, identity on tyne is acting as the community partner in a AHRC funded First World War project. 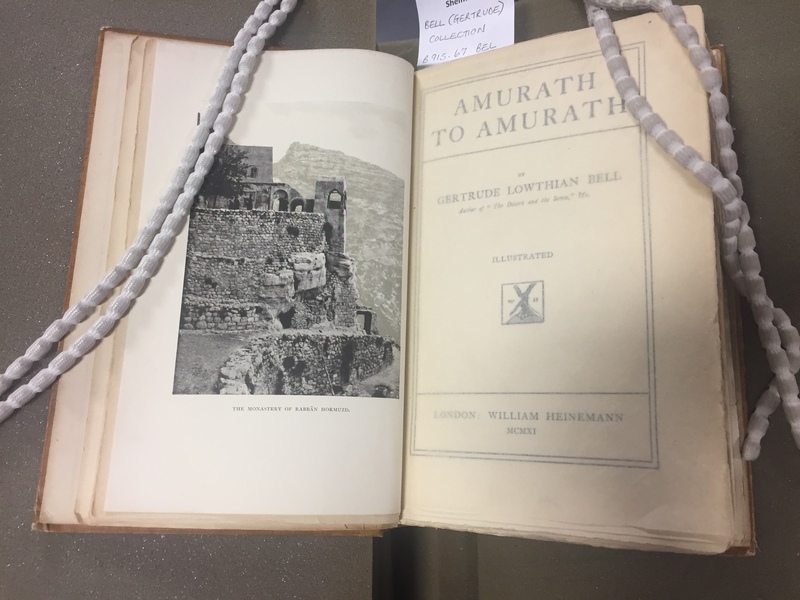 Under the guidance of Dr. Mark Jackson, Lecturer in Archaeology, Beyond Destruction is a research project which aims to uncover hidden histories within the Gertrude Bell archives at Newcastle University in order to bring to light a more extensive knowledge of the Middle Eastern communities before and during the First World War. • To research and preserve important heritage material in relation to Syria, Assyrians and Armenians communities from the Middle East and their involvement and contribution to the First World War and make it widely accessible;(initially this will be from a local perspective in order to root these peoples and communities more in the region). • To engage these people in learning about and appreciating their cultural and local heritage through engagement with museums, libraries, archives and other places of culture and heritage as well as through an appreciation of the arts and creative activities. • To encourage these people to contribute to their heritage and understand its importance for future generations; through adding to the findings through personal archives, stories and histories. Findings and stories in relation to this project will be archived here.